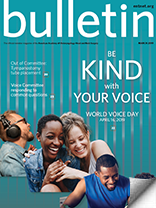 Over the last few decades, there has been a notable increase in electronics, toys, watches, greeting cards, and other devices powered by button batteries. These seemingly innocuous objects can be found in nearly all households. During the same time period, there has been a dramatic rise in the prevalence of button battery injuries, the overwhelming majority occurring in children. 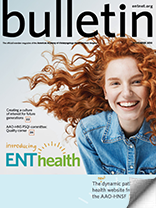 In 2010, the National Capital Poison Center published a seven-fold increased risk of major effect on the morbidity and mortality in button battery ingestions in children compared to previous reported literature. How does battery ingestion cause complications? Swallowing a battery or applying a battery to a moist surface (e.g., the ear canal, throat, or the nose) can result in injury because the moisture in these areas can result in leaching of hydroxide from the battery’s negative pole. This will damage and liquefy the lining of the esophagus, nose, or ear drum, resulting in a severe burn or perforation. If the diagnosis is confirmed with x-ray imaging and/or there is a strong clinical suspicion, emergency removal of the battery is the next step. This is typically managed in the operating room by an otolaryngologist, particularly if the button battery is lodged in the esophagus or airway. The esophagus is the site of the most severe complications because of the moist environment, close proximity of tissues, and slow movement. In delayed button battery removal or significant esophageal injury, an esophagram may be performed before advancing diet, and a “second look” endoscopy two to four days post-removal can be useful in reassessing injury. Children may require careful monitoring to ensure no further injury occurs even after the battery is removed. Vascular injuries have been described, and an MRI of the chest to determine proximity of injury to the aorta or CT angiography to exclude aortic injury may be considered. If a caretaker does not witness the ingestion event, it can be hard to diagnose this problem, as the symptoms (e.g., drooling, vomiting, fever, decreased oral intake, difficulty swallowing, cough) may mimic other common disease processes in children, such as viral illnesses. Should there be any suspicion of a button battery ingestion, even if the event is not witnessed, the parent or caretaker should seek immediate medical help in the emergency room setting. If there is a witnessed ingestion, the poison control website (poison.org) has a list of steps to take. Immediately call the 24-hour National Battery Ingestion Hotline at 800-498-8666 (or 202-625-3333). What are some preventive strategies? What are other areas of concern in the head and neck? All caretakers and parents should also be aware that children can often place the batteries in the ear or get them lodged in the nose. The corrosive nature of the batteries can destroy the surrounding tissues in these areas and create multiple complications including conductive hearing loss, ear canal stenosis, septal perforation, nasal obstruction, or scar bands. 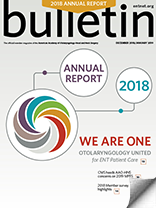 As in the esophagus with ingestions, there is a narrow time window in which the button battery needs to be removed from the ear or nose to avoid catastrophic tissue damage. Buttazzoni E, Gregori D, Paoli B, et al. 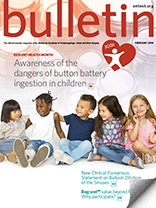 Symptoms associated with button batteries injuries in children: an epidemiological review. International journal of pediatric otorhinolaryngology. 2015; 79:2200-2207. Reilly D. Mercury battery ingestion. BMJ. 1979; 1:859. Sharpe SJ, Rochette LM, Smith GA. Pediatric battery-related emergency department visits in the United States. Pediatrics. 2012; 129(6):1111-1117. Poison Control. Swallowed a button battery? Battery in the nose or ear? www.poison.org/battery. Accessed 11/29/17, 2017. Jatana KR, Litovitz T, Reilly JS, Koltai PJ, Rider G, Jacobs IN. 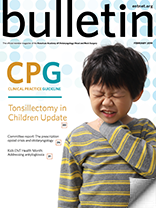 Pediatric button battery injuries: 2013 task force update. International journal of pediatric otorhinolaryngology. 2013; 77:1392-1399.